About Us (Corporate Information) - Shinwa Chemical Industries Ltd.
We are experts in the field of separation technology who support the realization of customers' dreams and visions. Genome drug discovery, the development of new sources of energy, environmental hormones... There are currently a wide range of significant issues that need to be tackled in order for mankind to continue to exist and prosper. Medical science, biochemistry, food, environmental analysis, polymers, industrial chemistry... Separation science and technology are important and necessary in order to overcome issues and problems which will arise in the future in every conceivable field. 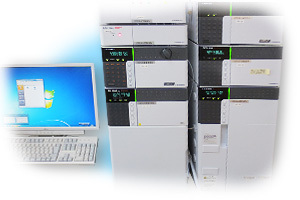 Since our establishment we have kept pace with a wide variety of customer needs in the field of chemical analysis. 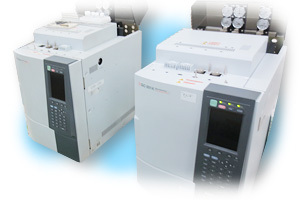 In particular, from the establishment of chromatography technology we have accumulated a significant technology and manufacturing know-how base. We support customers' research and development requirements through our technology and experience backed up by a long history. Our aim is to solve problems faced by customers in the field of analysis through the optimum utilization of our technology and information. Shinwa Chemical Industries is a company that continuously takes on new challenges by employing a solid base of experience. Our mission is the realization of the visions of our customers. We satisfy customers' analytical needs on the basis of our significant accumulation of experience and know-how related to columns and packing materials for gas chromatography. 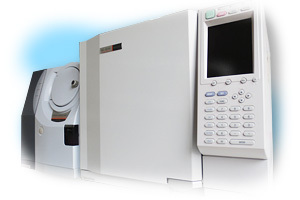 We have a wide range of HPLC products designed to meet a myriad of analytical requirements. 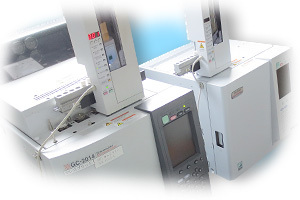 We also support customers through analytical consultations and column selection, etc. We endeavor to develop new products and acquire advanced technology and information in order to satisfy the analytical needs of our customers. We also manufacture a wide variety of products such as inspection reagents for analytical instruments and fine chemicals for environmental analyses on an OEM basis.